I should totally go live here. Only $350 a month! (Click images to view them larger. We dont use heat besides the fire place and individual electrical heaters every now and then when it's getting too cold to move a finger. We're not vegan and we smoke but we recycle as much as we can, cook a lot, brew our own booze, avoid using plastic bags, trashy/pre-made food and chemical detergents, soaps, cosmetics... and well we dont wash all that often in the first place ha. 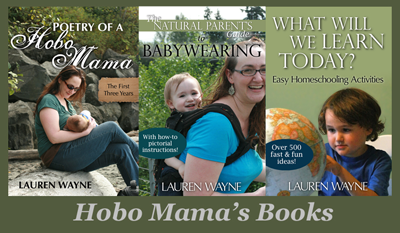 This is a current listing, brought to my attention through my Google Alerts search for "hobo mama," so jump on it if you're interested. The room's available first of the month! I'll see you there. P.S. 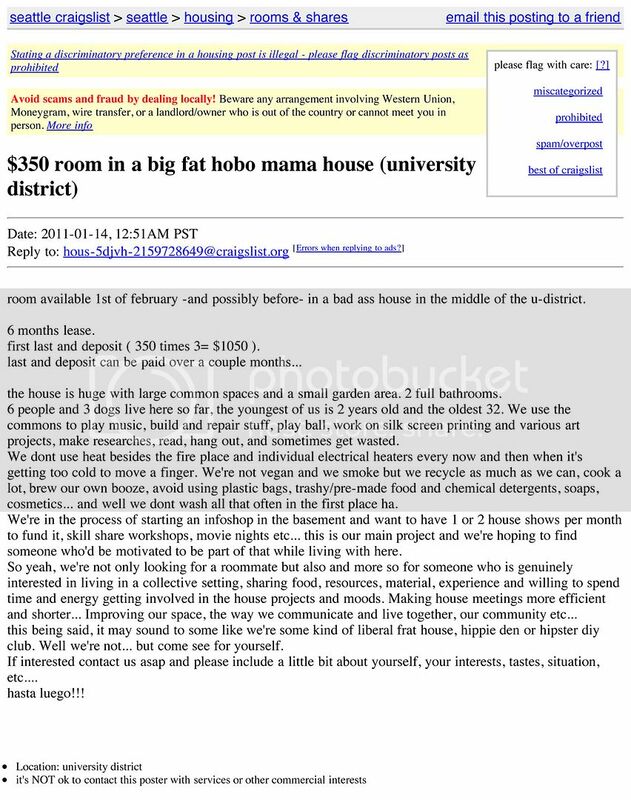 I'm not making fun of these people; I just think it's the height of awesome that they called it a big fat hobo mama house and couldn't resist posting. 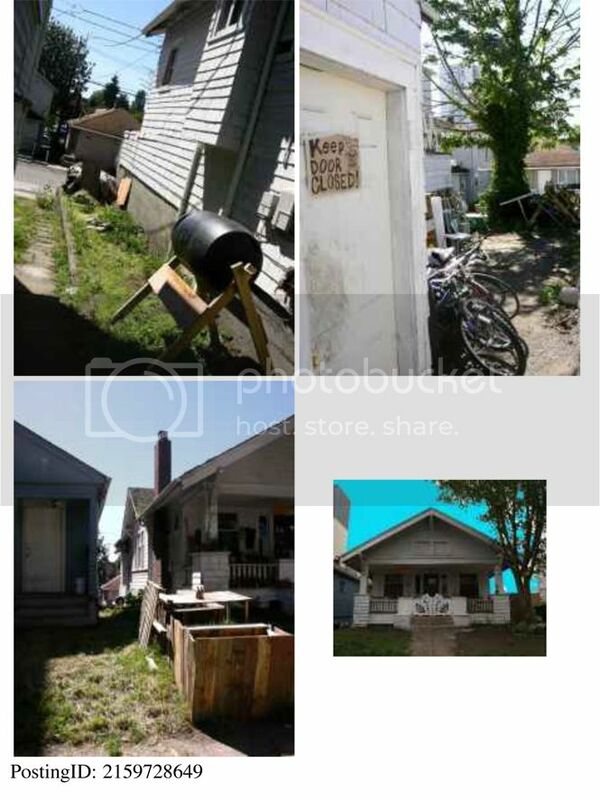 Cheers to nonconformist, community-oriented, not-at-all liberal frat houses and hippie dens! This is so awesome! I didn't even know that was a section on Craigslist! I immediately went to check out my own local listings. We have a big college as well as a big bible school in town, so most of the listings were near those. Then some outside of town. It is just interesting to see how those places were listed. Momma Jorje: We've thought seriously of communal living/shared spaces, but yeah, more in a let's-start-our-own idea, not joining an established one. Either way, it does sound cool to me, if a little intimidating. Amber: Your comment made me actually laugh out loud. It's ok — I'm in my room by myself. I love it! Little did they know you'd get that Google alert and give the ad extra traffic. There's a communal house just up the street from us. It seems pretty cool, and they even do the same kind of info sessions on edible wild herbs, etc. HA! I would totally live there.